Wow, what a busy April and beginning of May. First I went on a two week business trip to Russia, followed by two weeks of awesome vacation in Germany. Afterward it took me about one week to get over my jet lag 🙂 . 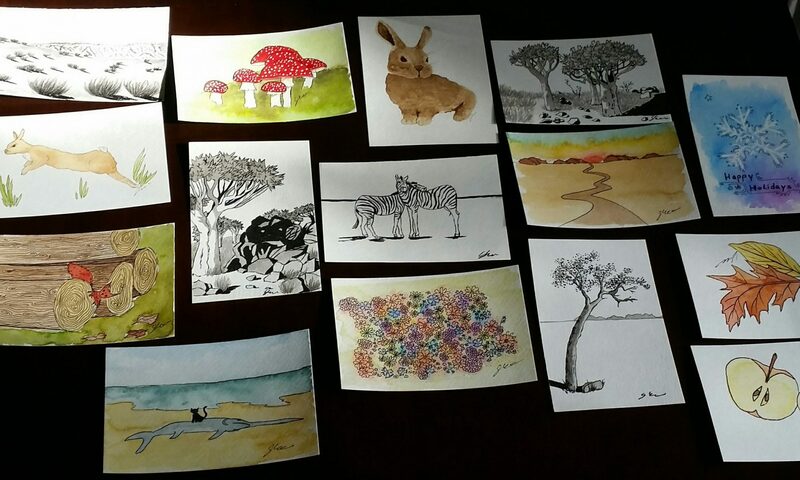 Seriously, I woke up at 3 am and then at 8 pm I felt like going to bed again (actually did…). 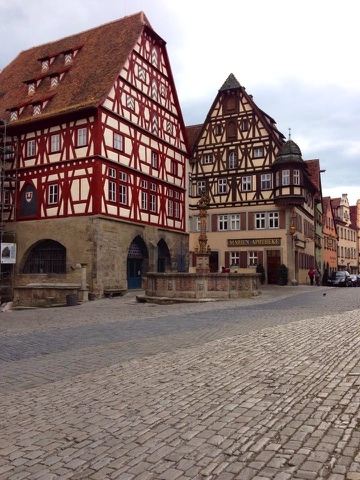 But one thing I really wanted to write a little about, because It was so great, is my trip in Germany with my husband. 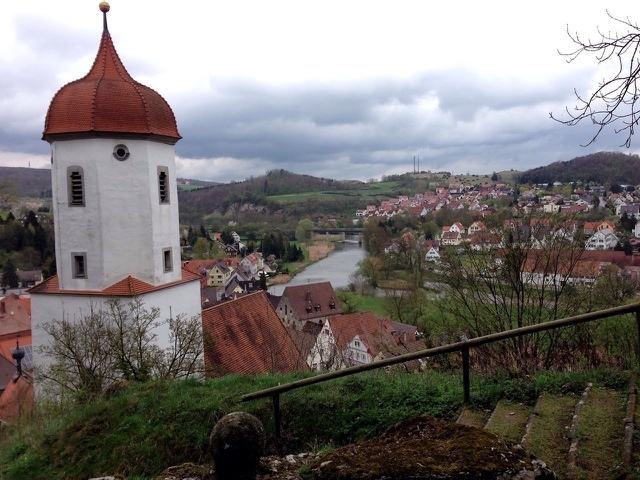 In the first week we did sight seeing in Bavaria, and the second week we visited my family in North Germany. Our first stop was the city Schwangau, which is just a 10 min bus ride away from Hohenshwangau which houses the famous Neuschwanstein Castle. This was really amazing and due to the fact that the season had just begun in April it was still pretty empty. Below the view of the castle from the Marien-Bridge. 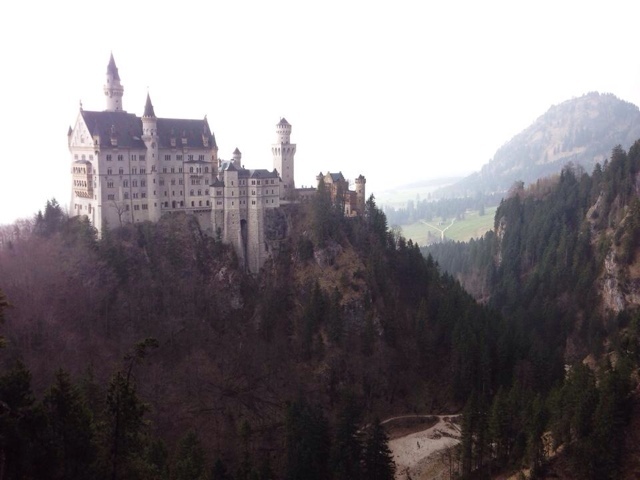 The Neuschwanstein Castle was never actually finished and the king Ludwig lived in this Castle called Hohenschwangau Castle which belonged to his parents before. Next stop was Augsburg. 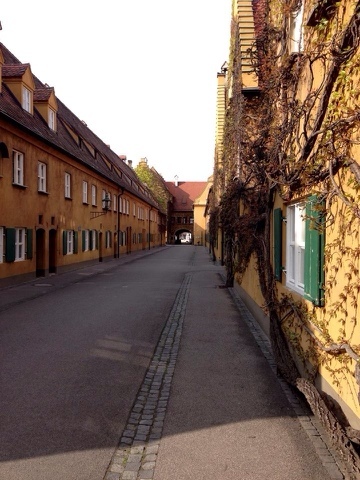 We visited the Fuggerei, which was the first social living complex and was opened in 1521 by the famous and super rich merchant Fugger. 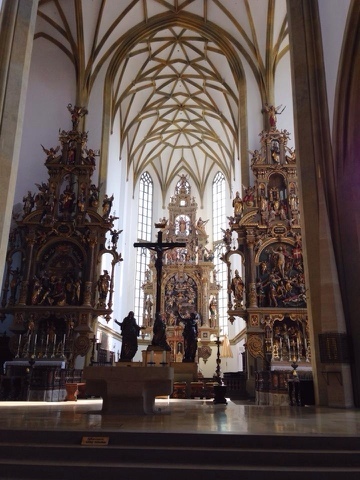 Also interesting in Augsburg was the St. Ulrich church with bones of three different saints in it. Two of the remains were in a crypt under the church which was open to the public and super creepy. 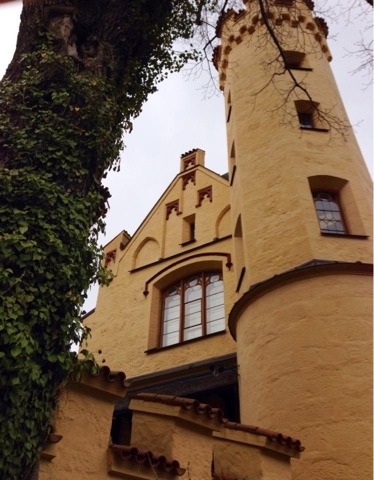 Next we went to Harburg in Schwaben. 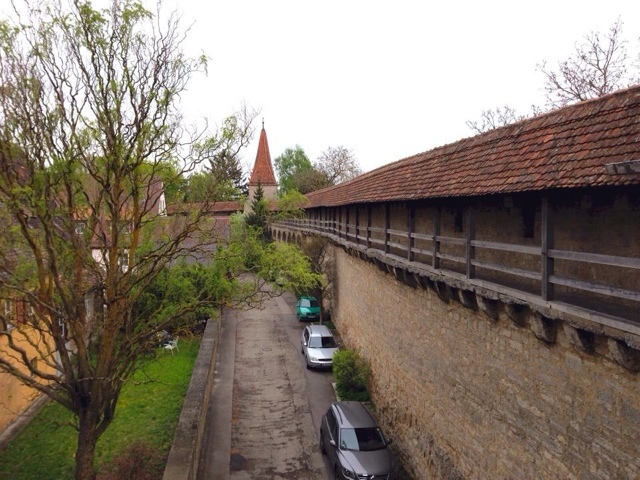 A really small but cute little town which mostly is famous because it has a fortress and the Romantic Road goes through it (an old Roman trade route). The fortress was nice and had a walkable fortification wall. The tour was only in German and I was the only German in the group 🙂 There were three folks from Brazil which I translated for. It was quite funny how the tour guide expected some of the local German history to be common knowledge but it obviously was not for the Brazilians (keyword Gustav II of Sweden in the 30 year war ). 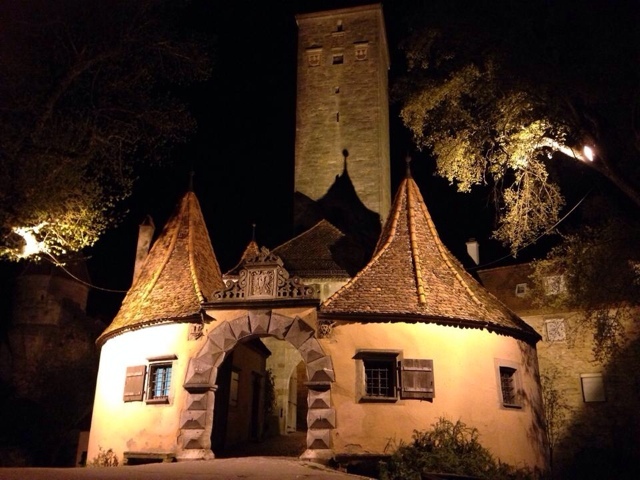 Last but in my opinion best stop was Rothenburg ob der Tauber. 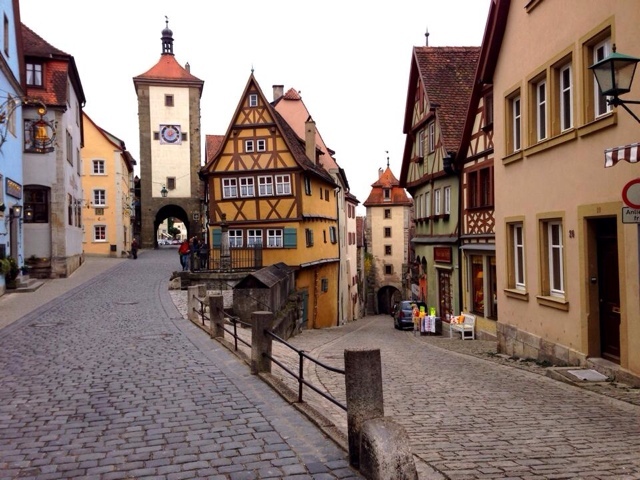 Rothenburg is one of the best preserved cities in Germany. It still has all of the fortification wall and gates around the downtown area (former the whole city) of which about half is walkable. Just amazing! After the war the city collected money to maintain and restore all the historic buildings in the city by selling meters of the fortification wall to people around the world. For buying parts of that wall a plaque was added to the wall, which can be viewed when walking on the wall. 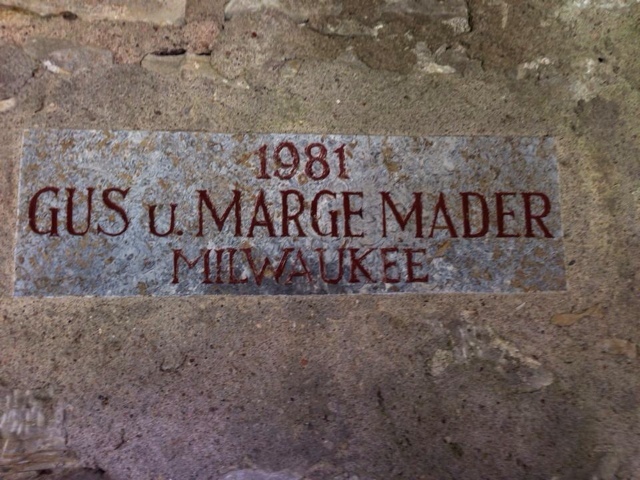 We found one from the Mader family of Milwaukee who own a well known German restaurant in Milwaukee. 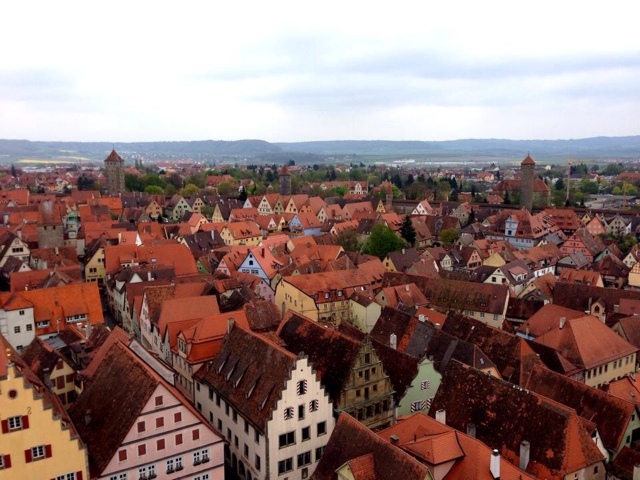 We also went on the 50 meter high tower of the city hall to get a stunning view of the city. But the best of the city are the many well maintained historical half-timber town houses. They just look like out of a fairytale. 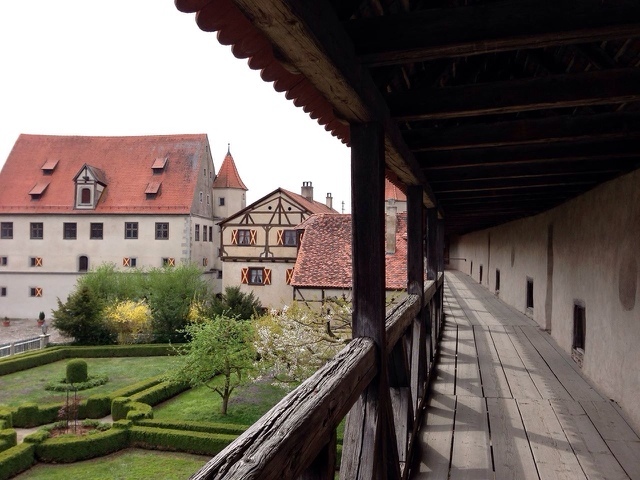 Especially the view below, which is the most photographed one in Rothenburg because it has two gates and some really pretty houses. If you ever come to Germany, this city should be high on your list! At night we did a great tour with the “Night Watchman” (he actually dressed like a night watchman 🙂 ). That was it for the Germany trip. Next time I will tell you some more about the up-cycled dress I made.